I think this is one of the more ‘fun’ songs from the ‘80s. It sure seemed like the Georgia Satellites had what it took to be band that would be around for a while, but it was not meant to be. Dan Baird would later hit the charts with the equally fun song “I Love you Period”, and while the band is still performing, they have undergone major lineup changes with guitarist Rick Richards being the only original member remaining. There you have five more classic One Hit Wonders from the decade with the best all time One Hit Wonders. There will be five more coming at you next week. Yes, it does seem silly now, but we loved it then. Hold up, hold up, hold up! DON’T YOU ALL BE CLOSING OUT THIS WINDOW JUST YET!! You just listened to the Juice’s side of the story. This is Miss Thang over here, and now you’re gonna listen to my side of the story! Watchu smiling at, Robert!? So, Oran “Juice” Jones cracks you up? Well, let me tell you somethin’. Juice ain’t nothin’ but a punky, whiny excuse of a man. Woooow! He had one hit! Well so did I. He sang about “The Rain”, which I’m assuming is a metaphor for his tears. Well, I brought the “Thunder & Lightning”. Are you finished reading me? Hi Everybody, Paul here. Wow, that Miss Thang came out of nowhere. They don’t make response songs like that anymore. I can’t believe it’s been 30 years since these songs were released! So, whose side are you on in this battle, Oran “Juice” Jones or Miss Thang? I haven’t done a poll on here in a while. I will be completely transparent here – I love this song and album. I am a sucker for guitars and bass, as well as a sappy ballad and this album has all of that. I still listen to it frequently and enjoy it every time. Unfortunately, the video for “Heartbeat” which feature Don Johnson playing a reporter covering a war, it not available. The videos to the other songs on Heartbeat are, so check those out. I hope these songs have rekindled an interest in an artist you have not listened to in a while. So, go back into the record or cassette collection, pull one of these albums (or singles) out, listen and enjoy. Come back next week for five more One Hit Wonder classics. Canadian Nancy Martinez was popular in her home country, but she only had one top 40 hit in the U.S. – “For Tonight”. Martinez (who is fluent in both English and French) recorded “For Tonight” for the Canadian Sizzle label. Atlantic Records picked up the song in the U.S., and also released the album that the song was from – Not Just The Girl Next Door. “For Tonight” went to number two for two weeks on the dance charts, and peaked at #32 on December 27, 1986. Timbuk3 was formed in 1984 in Madison, Wisconsin by the husband and wife team of Pat MacDonald (acoustic, electric, bass and MIDI guitars, harmonica, vocals, drum programming) and Barbara K. MacDonald (electric guitar, acoustic guitar, mandolin, violin, rhythm programming, vocals). In 1986 they released their first album, Greetings from Timbuk 3, which included their only single to chart, “The Future’s So Bright, I Gotta Wear Shades”. One-hit Wonders of the ’80s” that this was a misinterpretation. The bright future was referring to impending nuclear holocaust. It doesn’t matter though, as the song was a big hit for Timbuk3, peaking at #19 on December 27, 1986 in the U.S., and they were nominated for a Grammy Award for Best New Artist in 1987. After the successful debut, Timbuk3 gradually faded away. They did go on to record five more albums, but nowhere near as successful as their debut. They would break up in 1995. David & David was a duo of studio musicians David Baerwald and David Ricketts. Their debut single, “Welcome to the Boomtown” (from their debut album, Boomtown), was a hit, peaking at #37 on the Billboard Hot 100 on November 29, 1986. 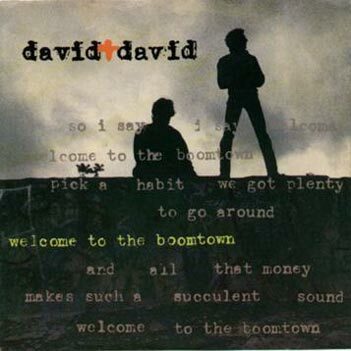 David & David disbanded shortly after Boomtown and Baerwald and Ricketts continued to work with other musicians. They both collaborated with Sheryl Crow on her debut LP, Tuesday Night Music Club. 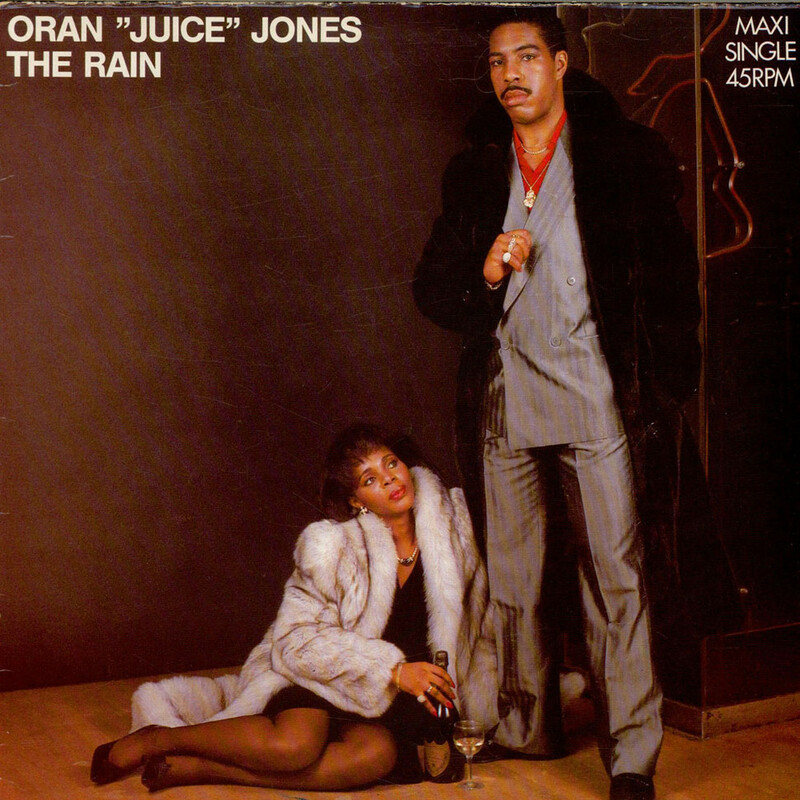 Oran “Juice” Jones hit it big with his crossover single, “The Rain”, off of his debut album Juice. The song reached #1 on the Billboard R&B chart for two weeks, making it the first #1 R&B hit issued by the then newly created Def Jam record label. It peaked at #9 on the mainstream charts on November 15, 1986. Unfortunately, Oran could not follow-up on the song’s success, and retired after his third album flopped. He took care of his terminally ill mother, and raised a family. Jones contributes to a number of hip hop blogs, including Houston’s jusflippin.com and Global Grind. 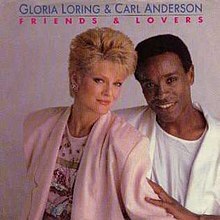 “Friends and Lovers” was recorded by Gloria Loring and Carl Anderson in 1985, but wasn’t released on a record label until 1986. Gloria Loring was married to Alan Thicke (Growing Pains) from 1970 until 1983. Beginning in 1980, she played Liz Chandler on the NBC soap opera Days of Our Lives. Her character was a lounge singer, so she performed several songs on the show. One of the songs was “Friends and Lovers”, which became the theme music for one of the popular supercouples on the show in the mid ’80s, Shane Donovan (The Nanny‘s Charles Shaughnessy) and Kimberly Brady (Patsy Pease). Carl Anderson, best known for playing Judas Iscariot in both the stage and movie versions of Jesus Christ Superstar, appeared on Days of our Lives and performed the duet with Loring. When the song was finally released, it was a smash hit, peaking at #2 on September 27, 1986. It was kept out of the top spot by “Stuck with You” by Huey Lewis and the News, and it remained in the Top 40 for 14 weeks. “Friends and Lovers” would be the only Top 40 hit for either performer. Loring would leave Days of our Lives the same year the single appeared on the music charts. Anderson died on February 23, 2004 after a long battle with leukemia. Double was a duo from Switzerland, consisting of Felix Haug (drums and keyboards) and Kurt Maloo (guitar and vocals). Their hit song, “The Captain of Her Heart”, came from their first full length album, 1985’s Blue. The song was an international hit, reaching all the way to #8 on the U.K. The song peaked at #16 on the U.S. charts on September 13, 1986. They followed up with the 1987 album Dou3le. It was not as successful as their previous album, and they broke up shortly after. Kurt Maloo pursued a solo career, in the course of which he has released four albums Single (1990), Soul and Echo (1995), Loopy Avenue (2006) and Summer Of Better Times (2009). Felix Haug died following a heart attack on May 1, 2004.